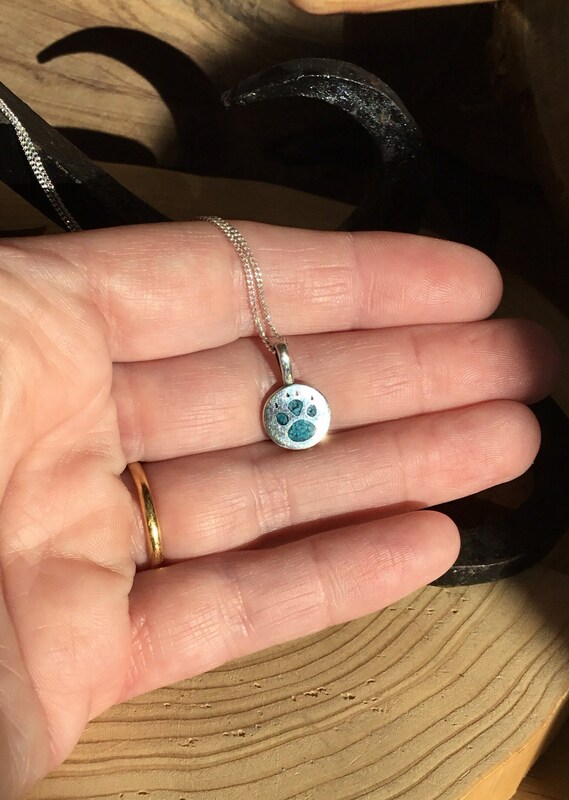 A Fantastic Paw Print Pendant Handmade in Sterling Silver and Inlaid With Turquoise. 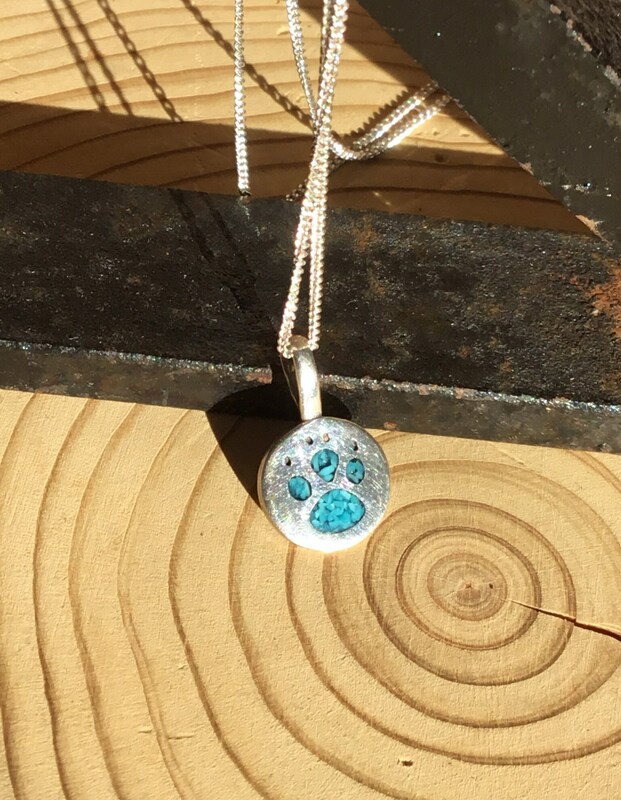 The Pendant is Inlaid With 4 Pieces of Turquoise in a Polished Sterling Silver Setting. The Colours of The Turquoise Range From Light to Dark Blue. 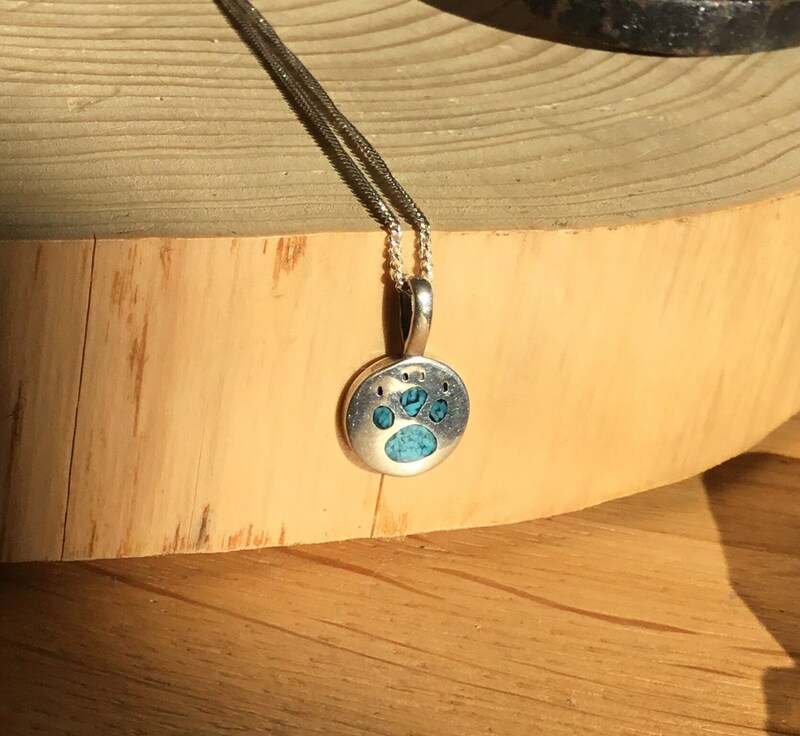 This Pendant Measures 17 mm Long Inclusive of Pendant Loop, 11 mm Wide and 2 mm Deep. 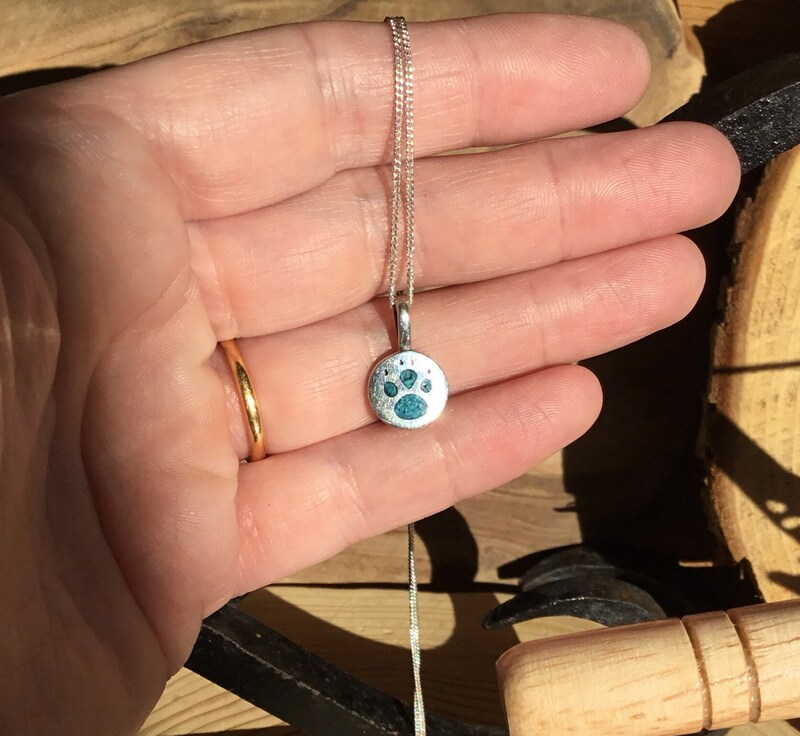 The Sterling Silver Curb Chain Measures 16 Inches Long.